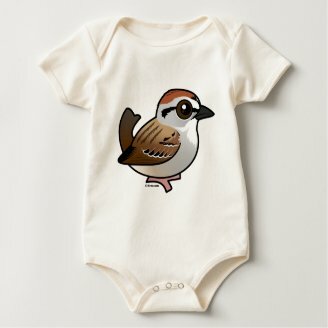 Today's new Birdorable species is a small New World sparrow: the Chipping Sparrow! 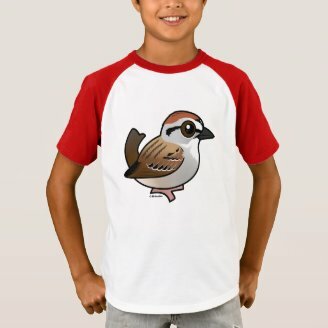 Chipping Sparrows have a widespread range across much of North America, and into Central America. Chippies are migratory through much of their range; some birds in Central America appear to be year-round residents. 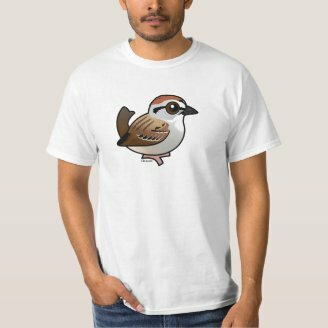 Chipping Sparrows usually nest low in trees but have been recorded nesting on the ground or in unusual spots like inside buildings and among decorative foliage. They typically lay 3-4 eggs per clutch. During the time when horses were more commonly used as transportation, Chipping Sparrows would be observed gathering horse hair to line their nests. This behavior gave them the old colloquial name of "hair bird." 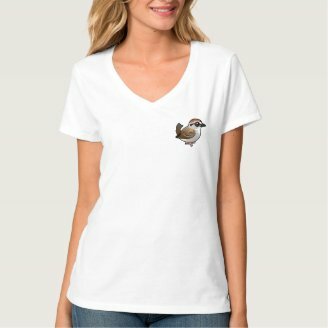 Tomorrow we'll add a species of myna to Birdorable. These birds are known for their exceptional ability to mimic sounds. Do you know the species?